RallySport Direct is proud to carry the Subaru OEM Rain Guards. These have been designed to keep unwanted rain from entering the vehicle if you have your windows slightly opened. This is a great option for those of you who got a vehicle that didn't come with this option. 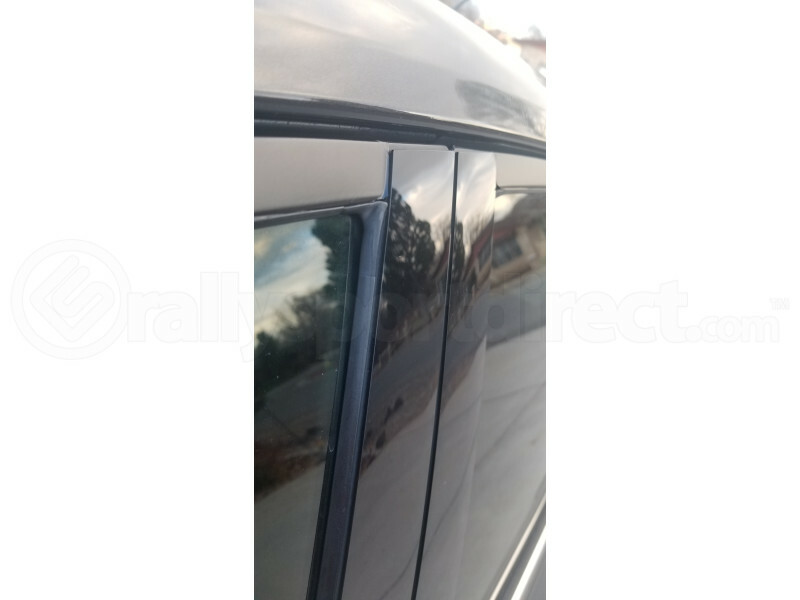 These are OEM components that have been designed to perfectly contour around the windows of your vehicle that will work with both the hatchback and sedan models. Installation is simple as they install using provided double-sided tape. However, additional hardware will be included. Note that will not fit on cars with the optional SPT Carbon Fiber B pillar covers. So you can't go wrong with OEM. I was able to install these within the hr. just follow the guide. clean your door, pull down the rubber fitting, clean with alcohol, pull back small parts of the sticky tape set it and guide to where you want it to sit. pull off the sticky tape and press firmly. after it's done apply heat gun but lightly just to press on hard. The product was great! Shipping was very fast! Install was a breeze. I did have to have another set of hands help me as the 3m double sided tape is super sticky! But end result was a success. Rally Sport has another satisfied customer! ... Well I did buy it again because I bought my first set for my gf's Impreza then had to get a set for myself for my WRX Hatch! Great product, nice quality, and strong adhesive. the clips is really hard to get off, broke off one of the clips trying to remove it but the adhesive is good enough to stick to the window. Really easy to install and looks really good.